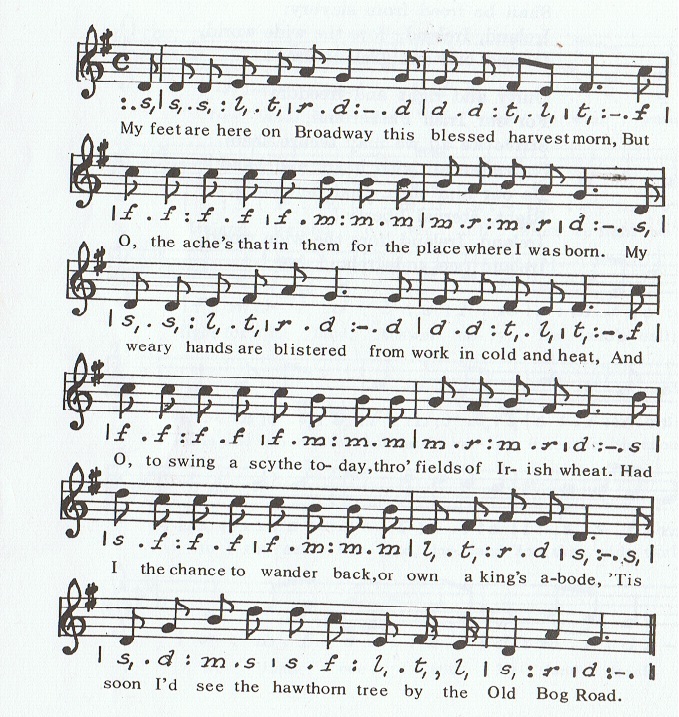 The Old Bog Road Sheet Music for tin whistle and banjo / mandolin. do re me fa so la ti do format included. This was the old way of reading and sounding notes years ago and perhaps still is to a certain extent. It's called solfage. This way of reading music was taught in schools in Ireland for generations.For example the first do in the old bog road below is the ''A'' note and re is ''B'' .